NEW YORK CITY: MTA To Completely Close 30 Subway Stations For Months-Long Renovations - Joe.My.God. Finally, the MetroCard will be replaced by a digital fare system beginning in 2017. They will initially roll it out at transit hubs like Penn Station and Grand Central that have rail-subway connections. It will replace the MetroCard by 2018. “The future is mass transit,” Cuomo said in a speech at the Transit Museum in downtown Brooklyn, which does not have Wi-Fi or cellphone reception. Cuomo’s remarks were geared toward younger passengers that expect the subway to be more modern. MTA Chairman Thomas Prendergast took to the podium Friday as well, promising to “re-envision” 30 subway stations by 2020. The MTA plans to make these stations “cleaner, brighter… easier to navigate, with better and more intuitive wayfinding, as well as a modernized look and feel.” This means more On The Go touch screens, new signage, new lighting. Rather than close these stations on nights and weekends to accomplish this “renewal”—the Governor described the current approach as “piecemeal”—the MTA will shut down entire stations for an average six to twelve-months per station to expedite renovations. Will your neighborhood’s subway station be one of them? 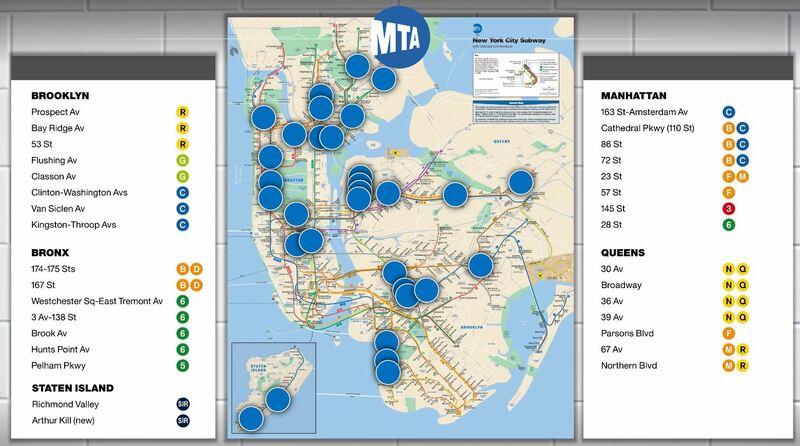 Below is a map of the 30 stations to be closed. (Right-click to embiggen.) 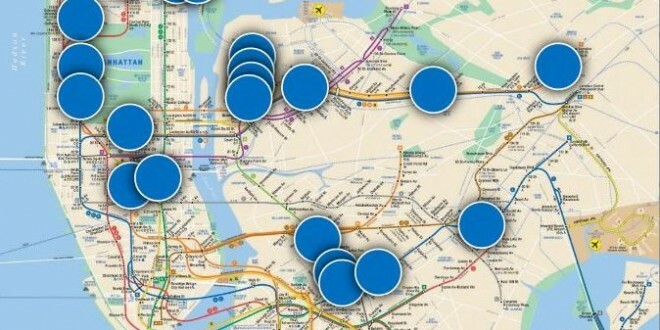 New York City presently has 469 stations.